CSIRO Plant Industry has developed AusFarm farm management software, based on computer modelling of farming systems and validated by research to promote more profitable farm management. Horizon Agriculture Pty Limited facilitates the expertise from CSIRO Plant Industry, GrazPlan project to agriculturists and educators with interests in the areas of tactical and strategic farm management. AusFarm farm management software optimises management strategies for livestock, grassland and cropping operations on a mixed farm or across a variable landscape. The model allows problems to be analysed simulating the physical and biological systems. The software contains powerful facilities for analysing risk over both short and long term. AusFarm's structure allows models of farm components to be configured and co-ordinated with an infinitely flexible set of management rules. The modular design of the software means it can include models from other scientific groups. This greatly expands the number of crop, livestock and management systems that can be represented and analysed compared to GrassGro for example. 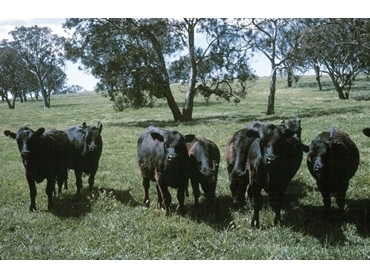 AusFarm is primarily intended for research into and analysis of agro-ecosystems.